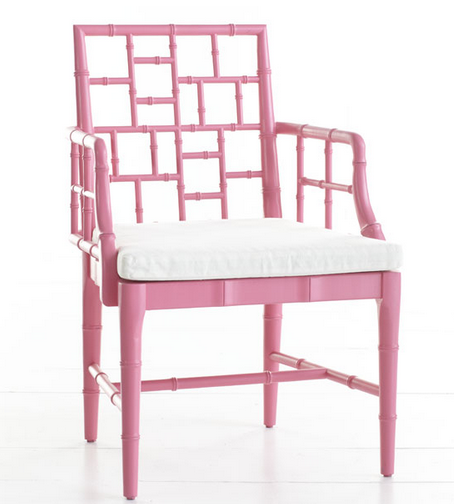 I have a serious design crush on faux-bamboo Chippendale chairs. They're perfect for desks, dining room tables, sitting areas, vanities, and I've even seen one perfectly placed in a bathroom. They look good in every color and coordinate with so many different design schemes. When I have a place of my own, I will definitely need a few Chippendale chairs to decorate my space. I'll take this one from Wisteria, please. It comes in nine different colors, but I especially adore this tulip pink. 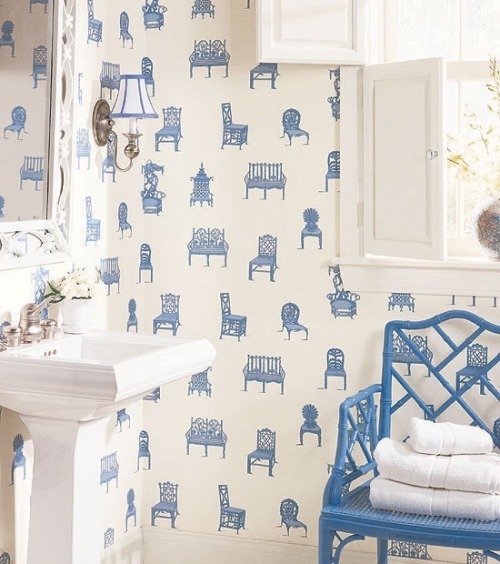 Do you like Chippendale chairs?